Integrated Pest Management - What Is It & How Do I Implement An IPM Program? Integrated Pest Management (IPM) is a process that is used to control pest populations while minimizing the impacts on people and the surrounding environment. 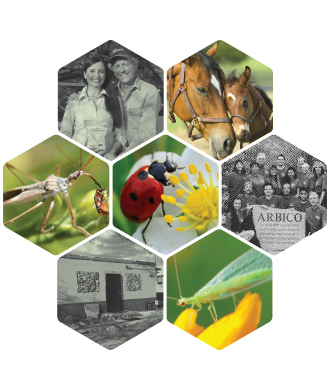 Focusing mainly on long-term pest prevention, a successful IPM program utilizes a combination of control methods including biological control, habitat manipulation, changes to cultural practices and use of resistant plant varieties. At the core of IPM is the desire to reduce pesticide use and human incursion into the ecosystem unless monitoring of pest populations indicates intervention is necessary. This begins with selecting the right soil medium for what, where and how we are growing. Make sure drainage and nutrition levels are sufficient for the crop selection. It is also the best stage of growing to control overwintering pests. Forecasting requires that we understand the kinds of pests that are common on the crops being cultivated and learn about their life cycles. 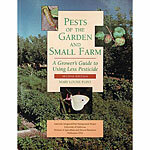 Knowing a pest's life cycle allows us to take action early and effectively. Early and correct identification of pests is a key to determining our best strategy for further action. Important information is gathered during inspection and should be consistently recorded in order to gather all pertinent information about the pest. Establish a threshold at which control measures must be taken. 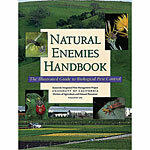 In most cases, a certain number of pests are tolerable. In general, when the cost of damage exceeds that of the cost of control it is time to intervene. Cultural controls should be taken regardless of thresholds being crossed or not. Crop rotation, intercropping and trap cropping are common forms of cultural control. Sanitation is imperative to a successful integrated pest management program in indoor, outdoor, or greenhouse settings as it removes organic and inorganic residues, helps reduce egg/spore populations and deters overwintering. Diligence at this stage can minimize pest control efforts throughout the growing season. Once a pest population has been identified and monitored, we can introduce beneficial insects or other organisms to control and suppress the continued growth of that pest population. Biological controls come in the form of insect predators/parasites, fungi, bacteria and more and should be chosen based on their effectiveness at controlling the target pest(s) in the environment we are growing in. If control cannot be achieved through trapping and the introduction of biocontrols, using chemical controls may be necessary. We should always be aware of the ingredients in chemical controls as they have different residual effects and compatibility with other products. Make note of the types of pests that were present, what times they were present and the population levels they reached throughout the growing season. This will help us make effective decisions for coming seasons. Once the growing season finishes, we can look over our records and evaluate what was effective and what may not have been. Click on the links below for more information about each step of the IPM cycle.